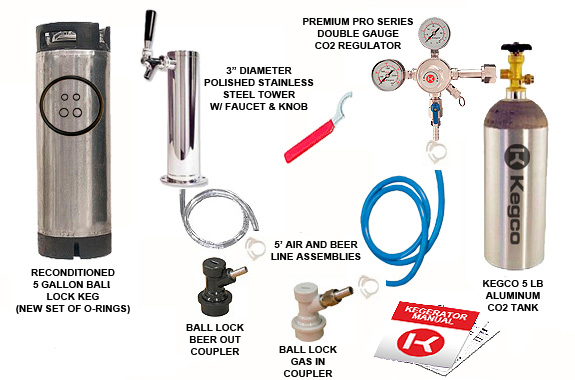 The Kegco STHCK-5T Tower Mount Homebrew Kegerator Kit comes with a refurbished ball lock keg and all the beer parts you will need to successfully convert your refrigerator into a draft beer dispenser, including a brand new aluminum 5 lb CO2 Tank. All the draft beer parts are of the highest commercial grade quality which are designed and built to last. The tower is constructed of Stainless Steel so it is capable of being used in outdoor applications.